Looking for the ultimate lighting combination for your off-road adventure? Featuring pivotal fit technology, this large X-clamp and square LED light kit offers value and convenience for an easy DIY installation and a better off-road lighting experience. 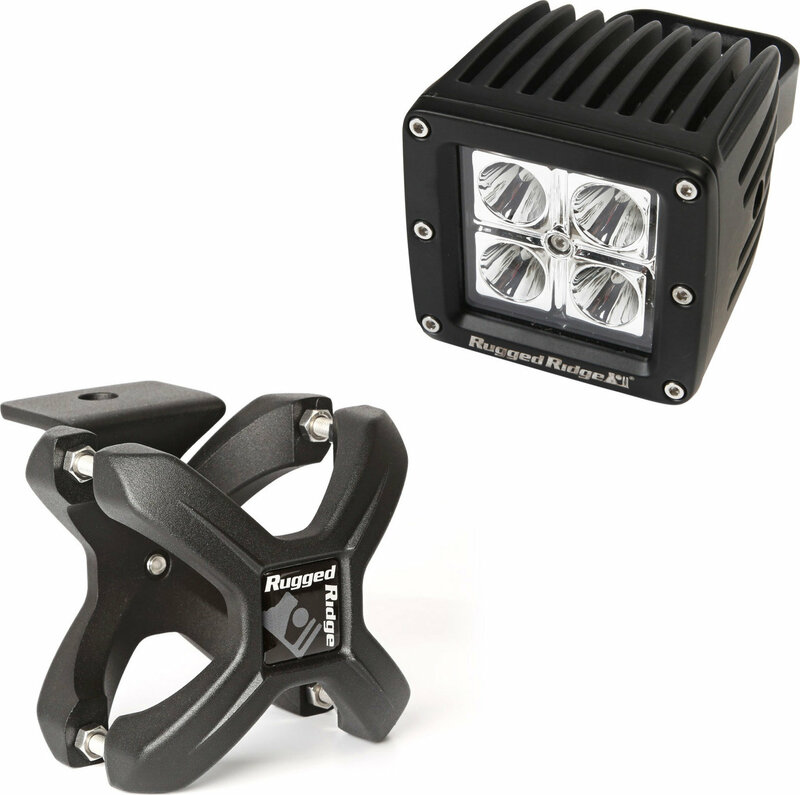 This kit includes one 2.25 to 3 inch textured black X-Clamp and one 3-inch square 16 watt LED light. Extremely versatile mounting system allows accessories to be mounted anywhere you have tubing!